On behalf of the entire CEA Crew we wish you Happy Holidays! See you in February. Next CEA Meeting – Meeting – Thursday – October 4th 2018 – Dinner @ 6:30 P.M.
Meeting – Thursday – September 6th 2018 – Dinner @ 6:30 P.M. These members attended the Last Meeting, Come join us in September! RSVP Using the online form below. 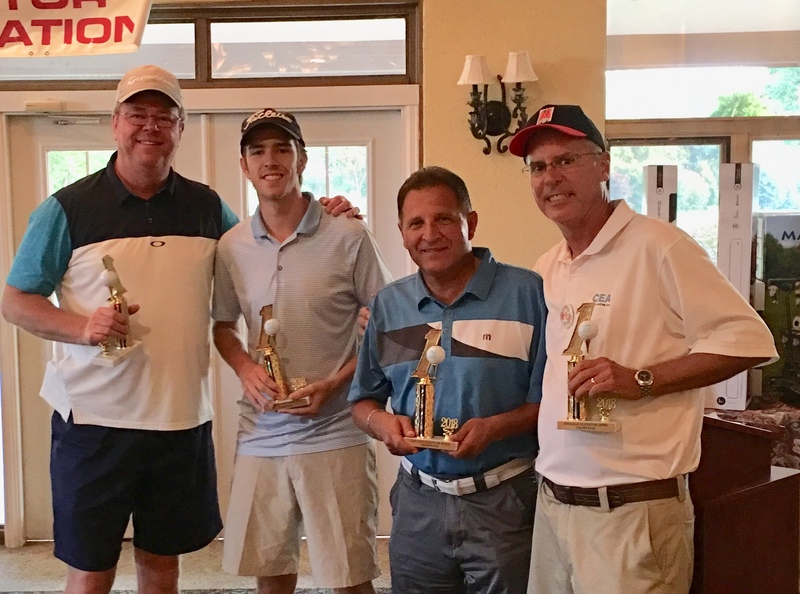 The Chicago Elevator Association (CEA) held their annual golf outing at the Gleneagles Country Club to benefit the Elevator Escalator Safety Foundation (EESF). The event had a great day for the outing with plenty of sunshine for the golfers. All of the attendees were winners at this year’s charity event. A delicious dinner was provided to the attendees following the outing. 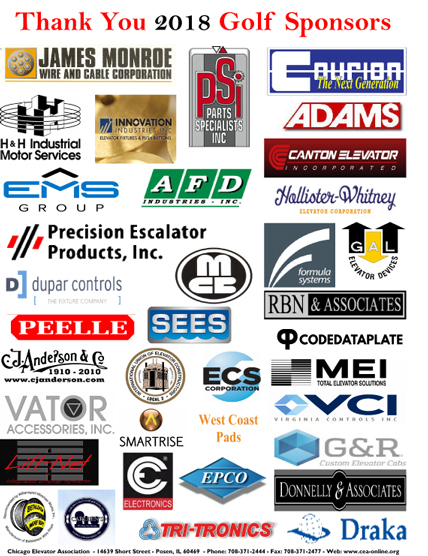 The world class raffle with the industries finest prizes kept all the attendees in smiles. Chicago Elevator Open of 2018 Champions is Team PSI (Parts Specialist Inc.). Glenn Duncan, Tony Zomparelli, Brian Sheely, and Dan Sheely. Their final score was a 57 or -13 under par. Congratulations! The event had a 50/50 drawing for the EESF. The CEA would like to Thank Brad Hunt of the Peelle Company, Kelsey Louise of CJ Anderson, for helping with the collection of $1700.00 dollars for the drawing. Half went to the winner and the other half to the EESF. We also raffled off a Chicago Bears jersey autographed, by Da Coach Mike Ditka. We collected $280.00 dollars for the raffle. This years EESF charity event was a huge success. The CEA Annual Golf Outing helped the EESF by raising $2000.00 dollars to further their mission. 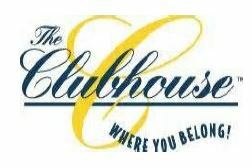 The CEA would also like to thank our golf outing Committee. Glenn Duncan, Tom Przybyla, and Molly Cruz, from Parts Specialists, Inc., and Matt Dennett from RBN & Associates. We wish to say Thank You!